The National Public Seating patented Melody music chair has been received by music programs with enthusiasm nationwide. Designed band-pitch style with the seat to back angle of 97 degrees, it allows for maximum breathing capability for performing arts or music study and practice. Seat and back are contoured for comfort, and mounted to a 16 gauge frame. Finished in black powder coated paint. Matching non-marring floor protector glides are a finishing touch. Optional grade tablet arm with plywood core flips up and folds away behind chair. Move and store up to 18 chairs on the function yet attractive Melody chair dolly. Tested for up to 300 lb. of weight capacity, the Melody chair exceeds ANSI/BIFMA standards, is MAS certified green, and eligible for earning credits in many sustainability programs including LEED. With 48 hour quick ship and a 10 year warranty, the NPS Melody chair is perfect for your music program! Provide comfortable seating for your performing arts and music students with the NPS 8210 Melody music chair! The seat and back are contoured for comfort, and the steel frame is finished in a black powder coated paint for a sophisticated, professional look. Looking for a compact, affordable solution to increasing the output at your restaurant, food truck, or snack bar? 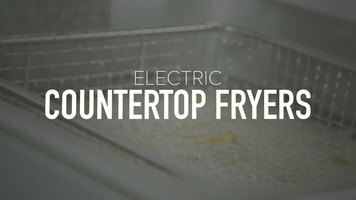 Try an electric countetop fryer! 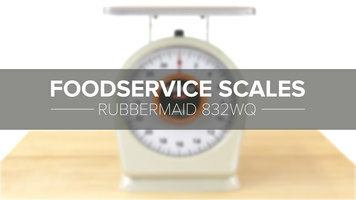 Measure out the correct portion of ingredients in your kitchen with the Rubbermaid 832WQ QuickStop 32 oz. portion scale! Watch this video to learn more about the NSF Listed unit. 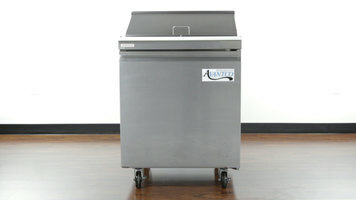 Watch this video to see why our Avantco sandwich and salad prep tables will be a great addition to any commercial kitchen and learn more about their impressive features.